What is it to Build the Capacity for Peace? 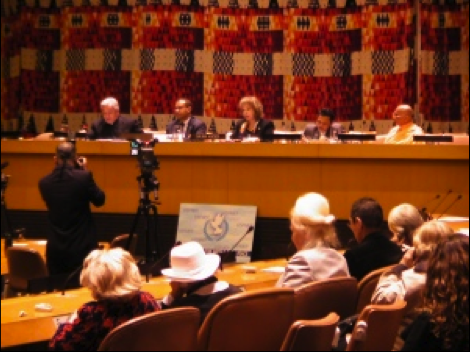 In recognizing the 2009 International Year of Reconciliation and Culture of Peace, the UFMEP hosted an Inter-Faith Dialogue that supports peace building, conflict prevention, and protection of Human Rights and Dignity. In the words of Mrs. Kader, UFMEP President ,”The international economic, social, cultural and humanitarian issues that we are suffering today due to conflicts that have affected and divided societies in their various internal, national and international levels require the rule of law with the principles of justice. This is the sure way to lead to initiation and process in promoting international cooperation to resolve world disputes." HH Bhakti Charu Swami, spiritual leader, ISKCON. H.E. Archbishop Celestino Migliore, JCD, DD, Holy See.